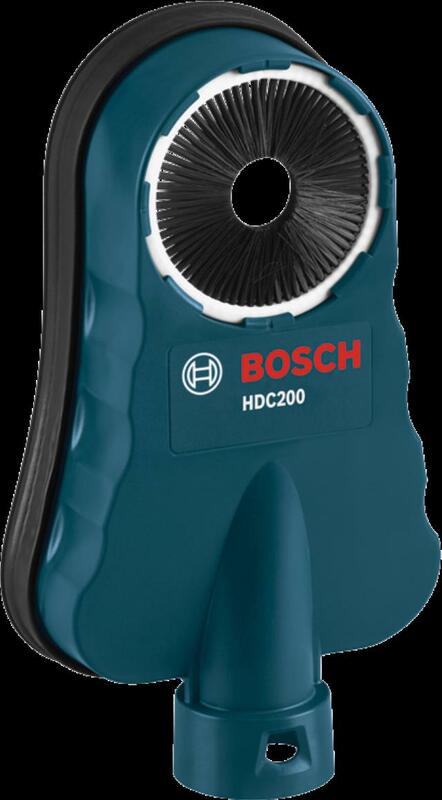 he HDC200 is a flexible dust collection attachment for SDS-plus and SDS-max hammers for drilling into concrete. It is optimized for drilling diameters from 5/8 In. to 1-3/8 In. but can accommodate up to 2-1/2 In. if the brush ring is removed. 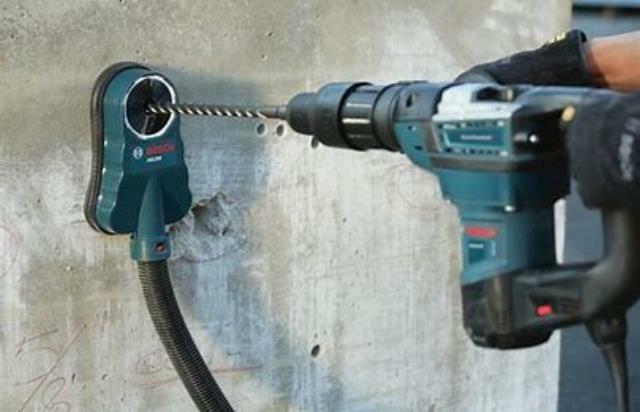 The attachment features two unique air chambers: one allows the drilling bit to pass through when drilling into the work surface. The second air chamber is designed to maintain suction to the wall during the drilling application. The dust port is designed for Bosch 1-3/8 In. vacuum nozzle but can be used with either 1-1/4 In. or 2 In. vacuum nozzles when used with the appropriate adapter. The system is universal and is designed to connect to a vacuum so that it can be used with any size hammer and can accommodate the full range of drill bit diameters and drilling depth. * Please call us with any questions you may have about our hammer drill dust attachment small sds in Kingsport TN, Johnson City, Elizabethton, Rogersville TN, Gate City VA and the NE Tennessee, SE Kentucky and SW Virginia Tri-State Area.